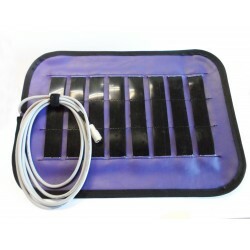 This highly-conductive 8 Electrode Blanket plugs into the biofeedback device head port with an attached cable. The design enables full send/receive capability that delivers maximum frequencies to large areas of the body. 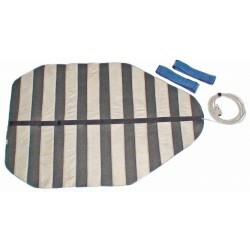 This highly-conductive 8 Electrode Blanket plugs into the biofeedback device head port with an attached cable. The design enables full send/receive capability that delivers maximum frequencies to large areas of the body. Each highly-conductive silver electrode is welded to each wire feeding through the head port. 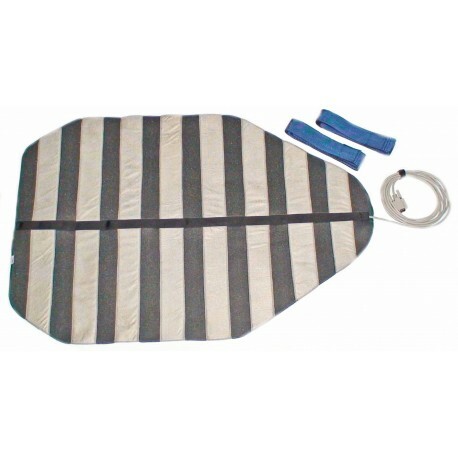 Two adjustable 24” (60.96cm) webbing straps are included.